I can just hear my sister now…”you’re weird.” Well, in all fairness, Elena’s Selfie Saturday prompt this week was “magic tricks.” Perhaps I took her prompt a little too literally…or rather, I pulled a “rabbit out of the hat.” But, in the spirit of Easter, I thought it might be fun to transition myself into an Easter Bunny. 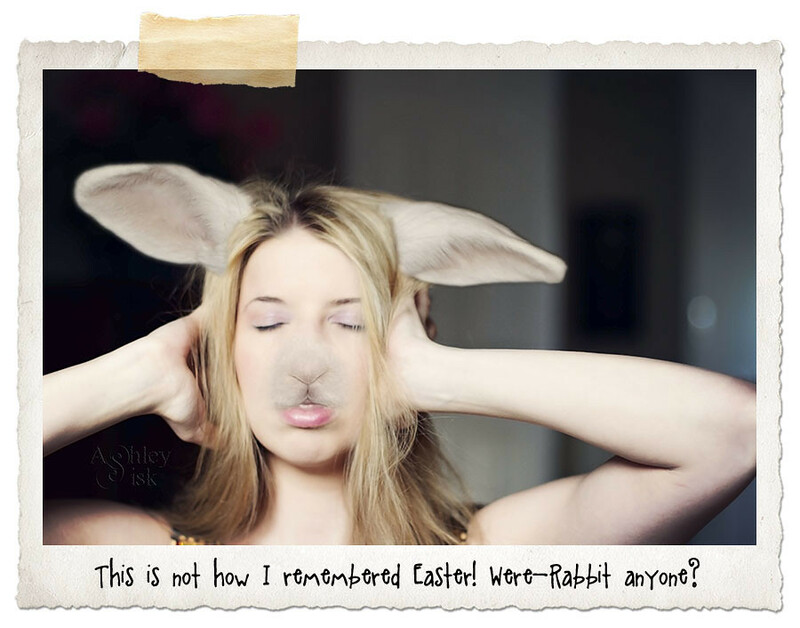 Again, my sister chimes in…”you’re weird.” Now that I think about it, maybe she’s right…this is NOT how I remembered Easter at all, but I hope you’ll see the humor in it. On another note, I wanted to share an image that I submitted earlier this month to the ACoLab. In honor of April Fool’s Day, the prompt was lies. I actually was inspired by an article I read on “The Twitching Organization” (found in the March edition of Chief Learning Officer). The article suggests that this “always on, always reachable” attitude in organizations and in life has had devastating effects on work/life balance, productivity…and I would say overall mental health. Our tendency to get distracted is human nature – the interruptions of emails, phone calls, pop-up windows, YouTube videos, etc releases dopamine into our brain and we become consumed by what is on screen for hours. As a result, our families, jobs and homes suffer the consequences. We often think that this kind of “multi-tasking” makes us more effective (I know I’ve certainly used that excuse), but the truth is that it’s a lie. According to this article, multi-taskers actually take longer to complete assignments and are less effective at judging problems as they are presented. So, how do we deal? We start by being honest with ourselves and others – I always say, have someone else hold you accountable. It could be your kids, spouse, friend or coworker. You cannot be your own accountability partner. Set rules for yourself, but be careful to set hard and fast rules. We’ve all seen people (and maybe you’re this type of person) that puts themself through a cleansing cycle…they delete people out of their email contacts, delete Facebook friends, clean out their blog reader, etc and then later realize that they might have hit an extreme. It may be that you allocate 30-45 minutes of blogging (as an example) and use a timer to judge that time. Put away your i-phone/blackberry/cell phone/i-pad/computer during family time…or at least during meal times, events, etc. And it’s not the end of the world if you go away on vacation and can’t read all the blogs you missed while you were away – I’m a frequent user of the “mark all as read” function. I made a decision several years ago not to take work home with me. I’ve now got to do a better job of not letting blogging take over my real life (yes, believe it or not, there is a difference). Get back to basics…analog? You don’t have to let technology consume you. Half the reason I use a day planner is so I can keep track of life with pen and paper rather than solely relying on my computer or phone. It’s okay to be disconnected – in fact, I encourage it. With that said, yes – I am still out of town (and hopefully I still have a voice – as I write this, I sound like “Truck Driver Sally” – my alter-ego). I honestly had no plans to get all philosophical today…but it was on my mind. I feel myself moving into a new direction regarding my self portrait work (you’ll see more of that direction in tomorrow’s Scavenger Hunt) and my photography in general. I guess I am getting a little more reflective…a little deeper. I can tell you this much, God is at work and I can’t wait to see where it’ll go. Have a great weekend and be sure to check out the other ACoLab entries. 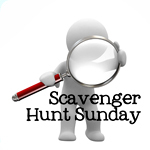 I’ll see you tomorrow for Scavenger Hunt Sunday.